New version of JylonWars is available here. New kind of critters with different behaviours. The Ship can fire bombs to kill critters. 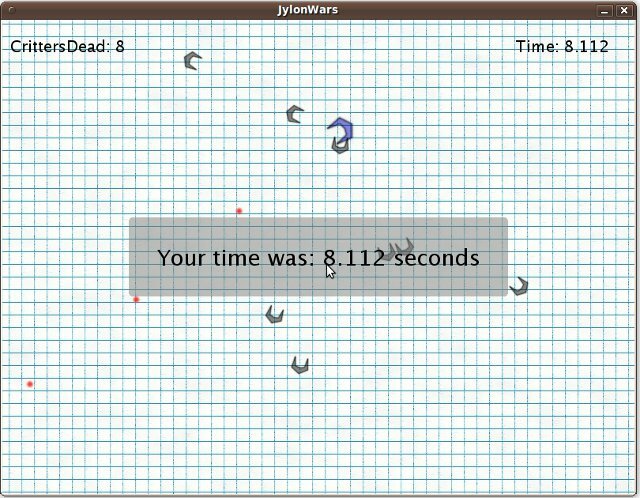 Hi, we are starting a new game named Jylonwars its a shoot em up like geometry wars or crimsonland (only not as good). For now the objective of the game is to last as long as possible without getting hit by the enemies. We will add new types of enemies and will be adjusting the gameplay based on the feedback we get.